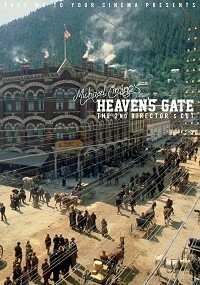 Heaven's Gate, as Michael Cimino originally intended it to be seen in April 1981. Using the low-quality French DVD 'La Porte Du Paradis' (Which appears to be the only copy of the 2ndDC available) as a guide, I've conformed the Blu-Ray transfer frame-by-frame and cut-by-cut to match. The unique soundtrack of the 2ndDC is preserved, but any colour-timing differences have not been (The transfer was too faded and murky to judge what the colours may or may not have been). Instead I have re-graded any shots I've used from the DVD, to match the Blu-Ray footage which makes up around 90% of this edit. Be aware that while I have used sharpening, film-grain, contrast adjustment and various other tools to improve matters. 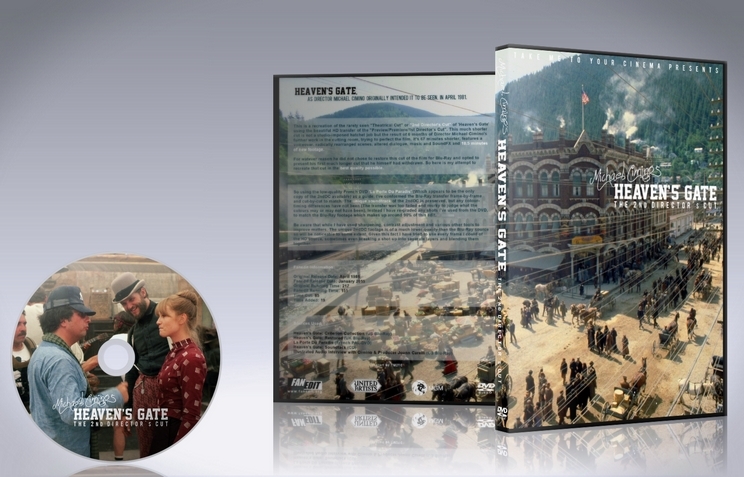 The unique 2ndDC footage is of a much lower quality than the Blu-Ray source so will be noticeable to some extent. Given this fact I have tried to use every frame I could of the HD source, sometimes even breaking a shot up into seperate layers and blending them together. UPDATE: This cut is now available in HD on a German blu-ray release, as a bonus feature. So I won't be sharing this edit any longer, you can just go buy a copy. Thanks to Criterion for restoring this controversial film... in any version. 01.25.08 - Pushed back all of the footage of the Cabin "Wolf" chat, the invaders arriving and Cully trying to warn everybody, until after Jim has warned the community at the weekly meeting. 01.47.17 - Removed 2 minute sequence of Jim kicking Ella's possessions onto the floor and calling her a "Dumb Whore"
I have only watched the original Heaven's Gate (well the edition to hit UK cinemas last year) and as much as I could argue the basic story and overall pace of the film leaves a lot to be desired, I do really enjoy it. I am astounded that you have taken so much time and effort to recreate this particular vision of the film, and more astounded that no-one else has commented on it here (although this is my first ever posting to this forum) I'm not sure how many views it actually gets. With regards to the new edit, I can see how more of it works, the dialogue between Jim and the Irish Station Master (i.e where the whole premise of the movie is first told) is clear although it felt a little like the dialogue was re-recorded in a studio? I thought the cut from the town to the butler was a little too abrupt and the battle seemed much shorter somehow? I missed the sepia toning on the roller skate sequence also. Here in lies my question, I wonder if you would consider your OWN edit of this movie - creating an even tighter storyline? Second to Cimino himself, you probably know more about the intricacies of this movie than anyone alive. All in all a phenomenal achievement by yourself, but it is a better film that the original cut? I'm really not sure - could you make one I wonder? !